Endless Space is a science fiction 4X turn based strategy game that was released for Windows and Mac in 2012. The game was developed by Amplitude Studios and has drawn comparison to the Civilization series, Space Empires, Master of Orion and Alpha Centauri. Endless Space is packed full of content with 9 different civilizations that each offer their own unique playstyle. The civilizations available to the player vary dramatically based on military power, scientific capabilities, diplomatic resolve, hero units and much more. Alternatively, players can choose to create their own civilization to attempt galactic conquest. Games in Endless Space can be won in three different ways; diplomatic, economic and supremacy giving the player plenty of options. Every game in Endless Space promises to be a different experience due to the randomly generated galaxy that the game generates. These maps can support up to 8 player gameplay with a mixture of real and AI players able to fill in the 8 player slots. 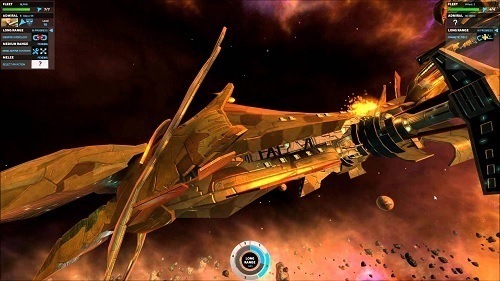 The core gameplay of Endless Space is a turn based strategy experience that takes place in the year 3000 and has players controlling an interstellar empire. Each player starts the game with their own home space system which is connected to the other various space systems.From here you’ll be in charge of researching technologies, unlocking ships, improving your planets and much more in an effort to expand your empire. 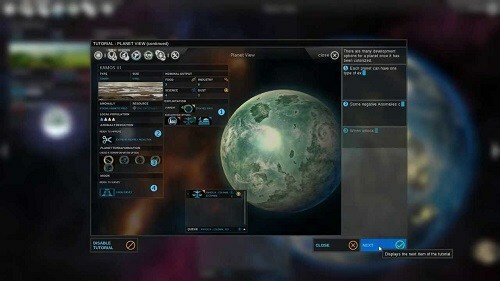 Endless Space also features hero units that players can recruit and use throughout their empire. All hero units have different unique bonuses (that can be improved) which adds to the strategic options in Endless Space. This RPG style hero system is very unique to Endless Space and is rarely incorporated into turn based strategy games. The game also offers modding tools that allow you to add to or change a variety of game aspects and materials. Random game maps give great replay value. Up to 8 player multiplayer. Massive amounts of strategy options.